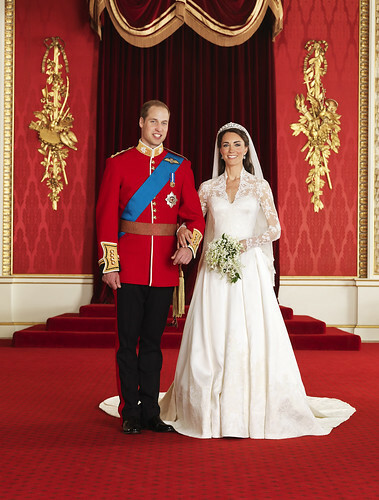 Prince William and Miss Catherine Middleton have chosen Leicestershire-based cake designer, Fiona Cairns to create their wedding cake. The wedding cake will be a multi-tiered traditional fruit cake. The cake, which will be decorated with cream and white icing, will have a strong British floral theme using elements of the Joseph Lambeth technique. 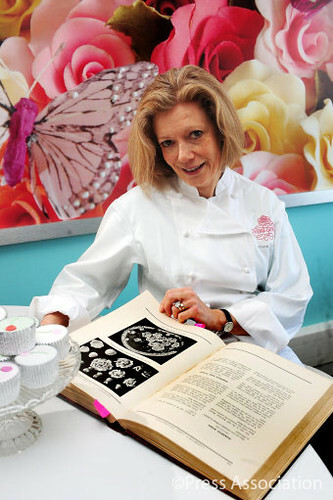 Ms. Cairns was chosen for her creative style and beautifully crafted handmade cakes using traditional British ingredients. Prince William and Miss Middleton were keen to choose a British cake designer and they had seen and tasted some of Ms. Cairns’ cakes in the past. Ms. Cairns’ business, which started 25 years ago at her kitchen table, is now based at a state of the art bakery in Leicestershire, in the heart of the English countryside. Ms. Cairns was first contacted by St James’s Palace in early February 2011. Like any bride, Miss Middleton did her own research into the cake’s design and met Ms. Cairns to give her specific guidance on what she would like the cake to look like. The Lambeth technique is derived from a style of decorating that was popular in England where chefs and decorators would use a lot of intricate piping to create 3-D scrollwork, leaves, flowers, and other decoration. The method is still popular today and is frequently used by wedding cake designers and decorators to create ornate wedding cakes.